South Korea lies in Northeast Asia. It's on a peninsula that only shares a border with North Korea to the north. To the west lies the Yellow Sea and China. To the south lies the East China Sea and Jeju Island. To the east lies the Sea of Japan and Japan. South Korea is close in size to the US state of Indiana, but has about seven times the population (see below). South Korea was occupied by Japan from the early 1900's until the end of World War II in 1945. This can in part explain some of the anti-Japan sentiment in Korea. The weather in Korea can vary a bit from north to south. On Jeju island you can find fairly warm weather as in the winter months it doesn't drop much below 40 F. Oranges similar to Mandarins that are popular in Korea are grown on Jeju. In Busan - the second largest city on the southeast coast, the winters can get pretty cold, but you'll almost never see snow there. In my 2.5 years there I saw flurries only one time, but nothing more. In Seoul, you'll definitely see snow and in January the temperature falls between 19 and 34 F. Summers in Korea are hot and humid. Korea is in a very mountainous region of the world. 80% of it's land is covered in mountains. The tallest mountain in South Korea is Hallasan on Jeju Island. It stands 1950 meters or roughly 6,400 feet tall. Which is fairly close in size to Mt. Washington (about 6,300 feet) in the US state of New Hampshire. Hiking is popular in Korea. Many of the mountains near cities in Korea have many hiking trails all over them. It's very easy to point to a mountain, go to it and chances are that you will find a trail up it. A cool feature that you will find in Korea is that many of the mountains and hillsides surrounding cities have outdoor gyms on them. Often on the top of some of these mountains you will find stationary bikes, weights, incline benches, and other exercise equipment. Food is often spicy in Korea. Many of the foods use a similar spicy red sauce. Popular dishes include: bibimbap, gimbap, kim chi jigae, bokumbap, and dak gal bi. Many of the previous dishes aside from the last can be suitable for vegetarians. Kim chi is usually served with every meal. Supermarkets like E-Mart and Lotte usually have a fair selection of international foods to choose from as well. I found the transportation system in Korea to be efficient. Bus trips around the city would cost about 2000 Won a trip and subway trips would cost a similar amount or more depending on how far you go. You can also get a card at a cheaper rate for the transportation. Read more about the cost of living in Korea. A high speed train (KTX) from Seoul in the northwest to Busan in the southwest part of country takes about two and a half hours. Slower trains often take five or more hours. There is a hydrofoil that travels from Busan to Fukuoka, Japan in around 2 or 3 hours. Trips to Fukuoka are a common way to make a visa run from Busan. Korea does well in the robotics and electronics industry with two major companies: Samsung and LG. It also does a lot of shipbuilding and automobile manufacturing. It is the worlds 12th largest economy. The education environment in South Korea is very competitive. Many students are vying for top spots in the best universities in Seoul, Korea or even in the USA. For example, many parents believe that getting into an "Ivy League" school will dictate whether their child is successful or not. This competitive environment starts at a very young age for many. Many students attend hagwons after their normal public school hours. Pressure is so high for some that the leading cause of death among young people is suicide (see below). K-pop is popular throughout much of Asia and even has a following in North America and in other parts of the world. Here's a source on K-pop. Film is also pretty popular in Korea. B-boying is also popular in Korea. Drinking is also a favorite past time of most Koreans. Many of these "facts" are from the CIA website or here. The population of South Korea is 48,955,203 (2013). The population of California is 38,041,430 (2012 est.). South Korea is 38,691 sq miles and California is 163,696 sq miles. 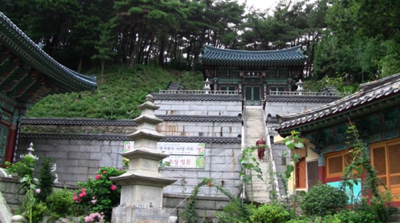 The most popular religion in Korea is Christianity at 31% (2010). The prevalence of HIV is 0.1%. That means that they're 83.33% less likely to have HIV than Americans. Military service is compulsory for males 20-30 years old. South Korea has one of the highest rates of suicide in the world. It's second only to Greenland. Plastic surgery in Korea is endemic. Gangnam district in Seoul, Korea is home to hundreds of plastic surgery clinics. This source says more than 300 clinics, this one 400 clinics and this one 500 clinics. Either way that's a whole lot of clinics in an area the size of about 15 square miles or 40 km. Obesity is 7.7% compared to the USA at 35.9% (2010). It's quite likely that if you move to Korea that you will drink more alcohol. Koreans spend about 78% less on healthcare. How much money can you make teaching in Korea? How much money do I need to move to Korea with? Should I teach in Korea or in another Asian country? You can also search the blog for related info.